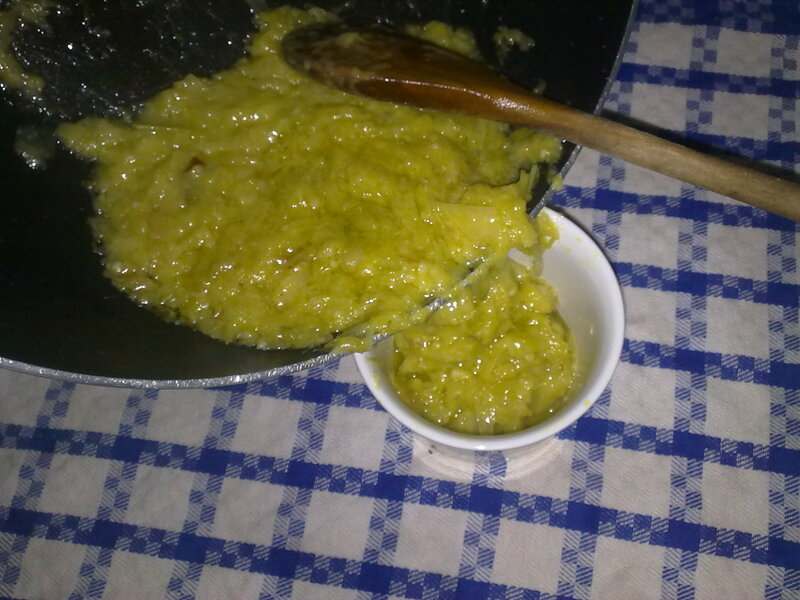 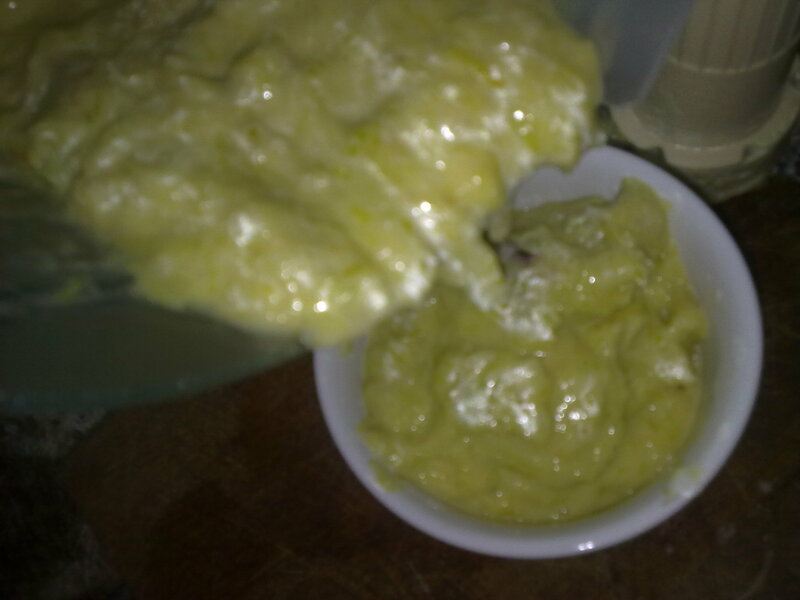 This which we are going to prepare is a delicate Sauce of Vegetable it is suggested for dressing of either Fish or Meat, other Vegetables or even Eggs. 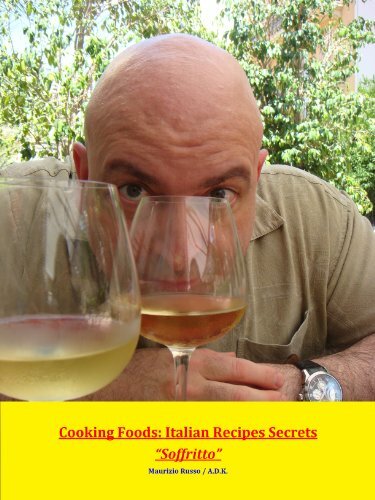 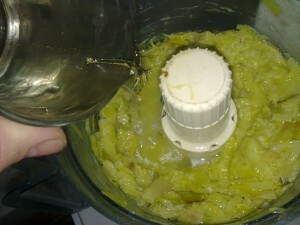 add one-quarter of White Wine and chop everything! 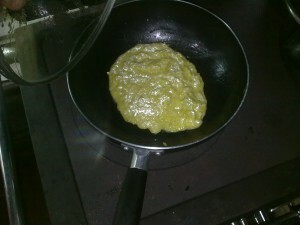 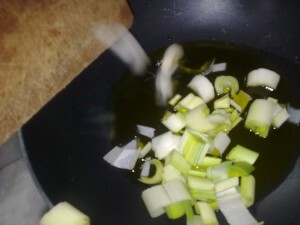 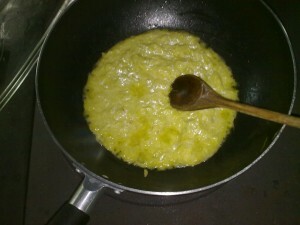 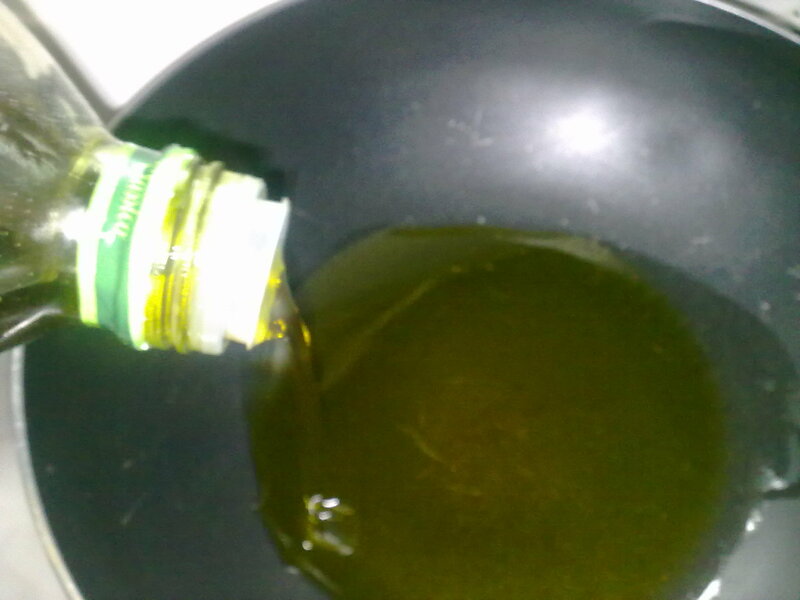 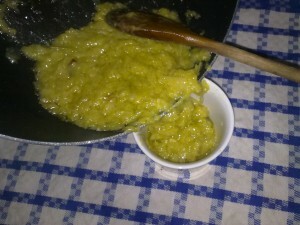 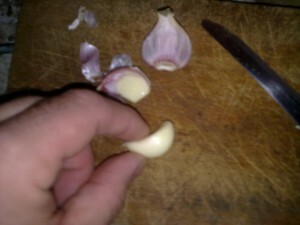 put back in the fry-pan still wet of oil or add just a spoon only of your precious Extra Virgin Olive Oil! 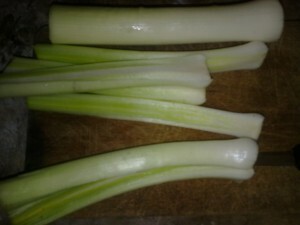 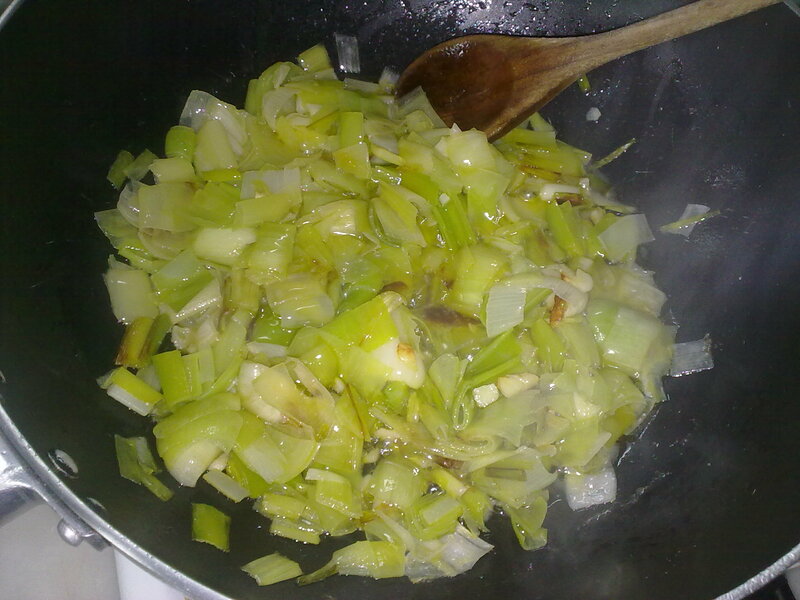 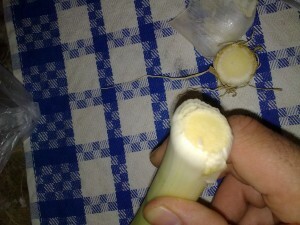 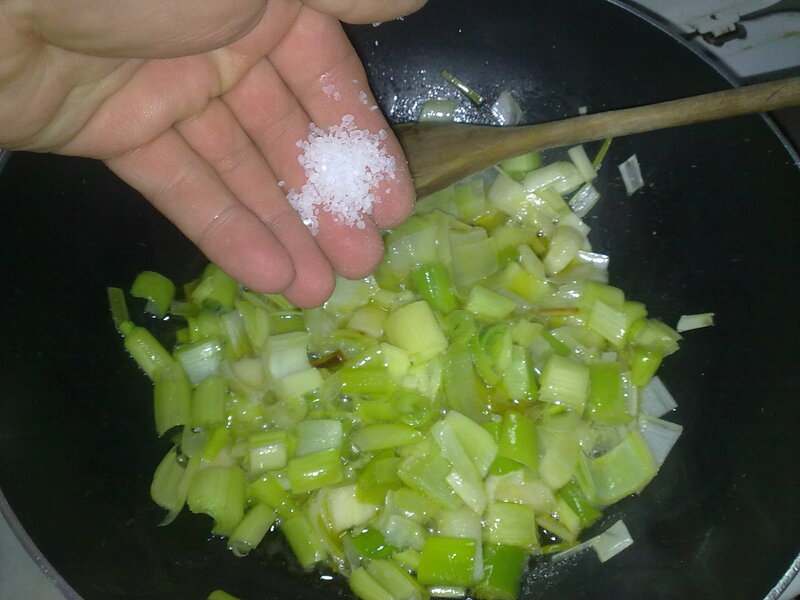 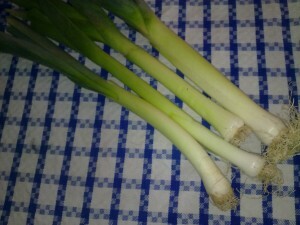 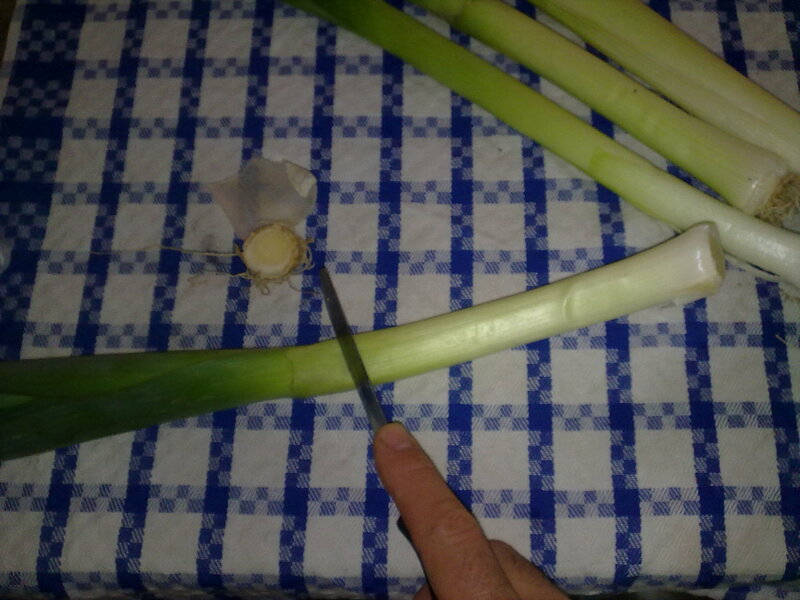 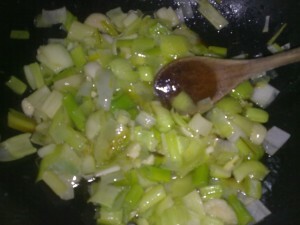 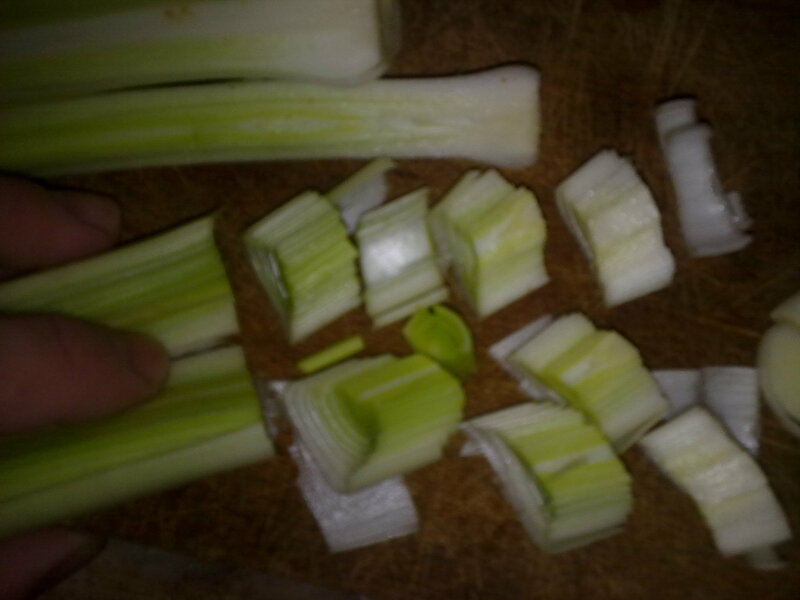 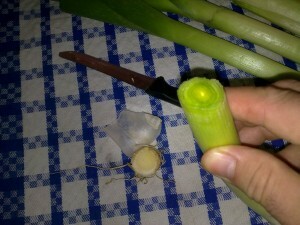 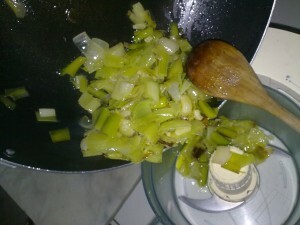 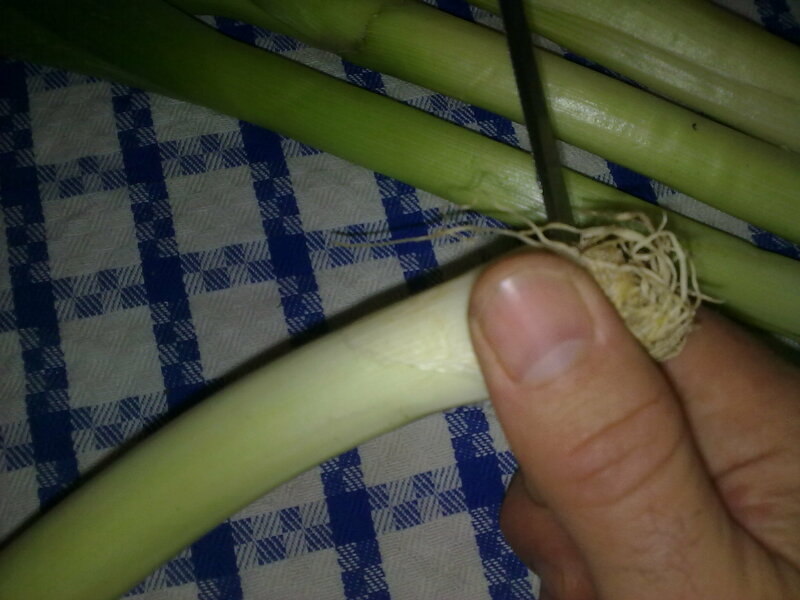 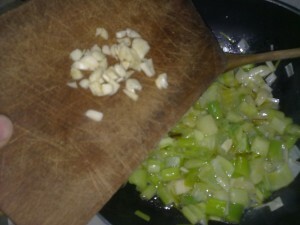 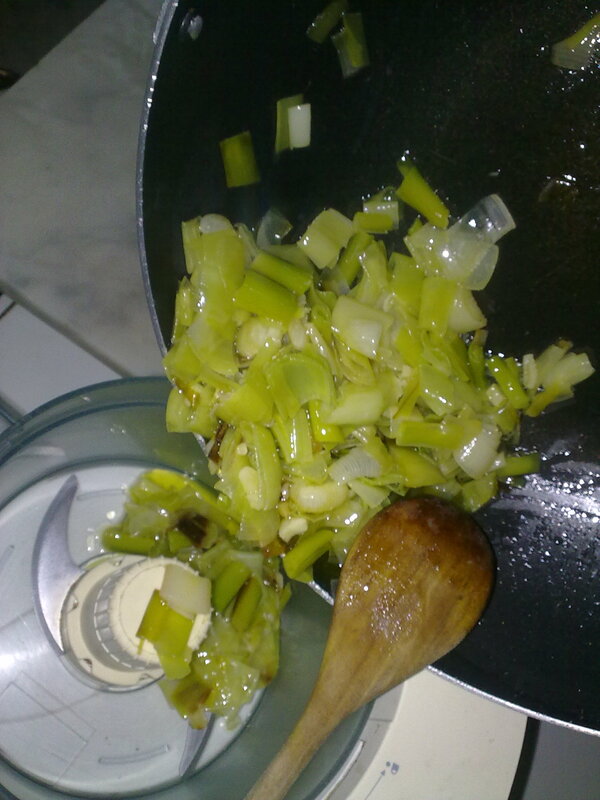 stir to dry until the Leek Cream is ready! you can now set in a container ready for your main course!